Apple has quietly announced two new iPad models, the third generation 10.5-inch iPad Air and the fifth generation 7.9-inch iPad mini. The new iPad Air has a brand new 10.5-inch Retina display with a 4:3 aspect ratio. It has a resolution of 2224x1668px with a density of 264PPI. The display is laminated to the glass, similar to that of the iPad Air 2 and Pro models but unlike the regular 6th generation iPad. It also features True Tone technology and DCI-P3 wide color support. Meanwhile, the smaller iPad mini has a 7.9-inch 4:3 display with a resolution of 2048x1536px and at 326PPI this is the highest density of any iPad model. This display is also laminated and supports True Tone and wide color. Apart from that, the two new iPad models are nearly identical. Both run on the Apple A12 Bionic chip with Neural Engine and embedded M12 coprocessor. Both come in 64GB and 256GB storage capacities, with optional cellular support. Both support the first generation Apple Pencil. The cameras are also identical on both, with an 8MP f/2.4 shooter on the back that seems to have been plucked out of the 6th generation iPad and can also do 1080p video. On the front is a 7MP camera with 1080p video that's from the new iPad Pro models. However, the new iPad Air and iPad mini do not have Face ID, so both get the older Touch ID technology. Connectivity is identical on the two new slate. You get dual-band 802.11ac Wi-Fi with MIMO, Bluetooth 5.0, Gigabit-class LTE, and GPS. Both support the new eSIM feature along with a nano SIM. 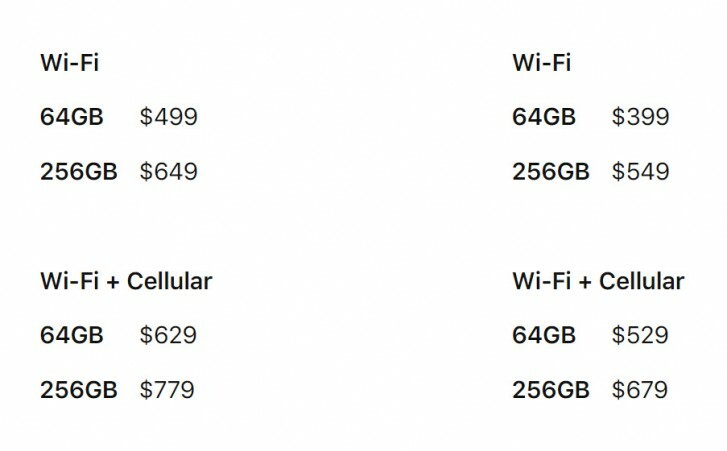 The iPad Air starts at $499/£479/€549 while the iPad mini starts at $399/£399/€449. Both are available in silver, space gray, and gold starting today. The markets that already can get them are Australia, Austria, Belgium, Canada, Czech Republic, Denmark, Finland, France, Germany, Hong Kong, Hungary, Ireland, Italy, Japan, Luxembourg, Netherlands, New Zealand, Norway, Poland, Portugal, Singapore, Spain, Sweden, Switzerland, the UAE, UK and US. Starting next week, they will also go on sale in China (Wi-Fi models only), Macau (Wi-Fi models only) and Mexico. Other regions including Colombia, Greece, India, Israel, Russia, Saudi Arabia, South Africa, Thailand (Wi-Fi models only) and Turkey will be getting it later. Apple is also launching new accessories for both models, including a Polyurethane Smart Cover ($49 Air, $39 mini) in charcoal gray, white, pink sand and a new papaya and Leather Smart Cover ($69 Air) in black, saddle brown, midnight blue and red. The new Smart Keyboard for iPad Air will be available for $159. 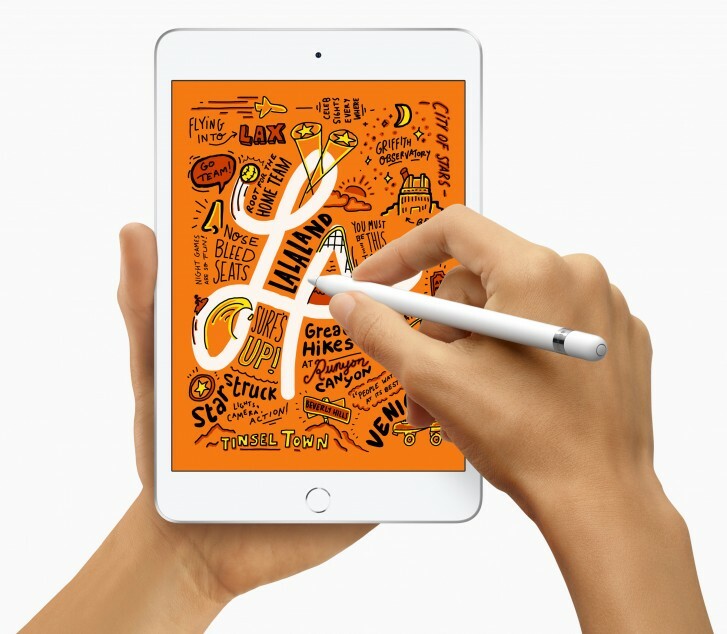 As before, the 1st generation Apple Pencil will be available for $99. Availability of models and colors depends upon region. 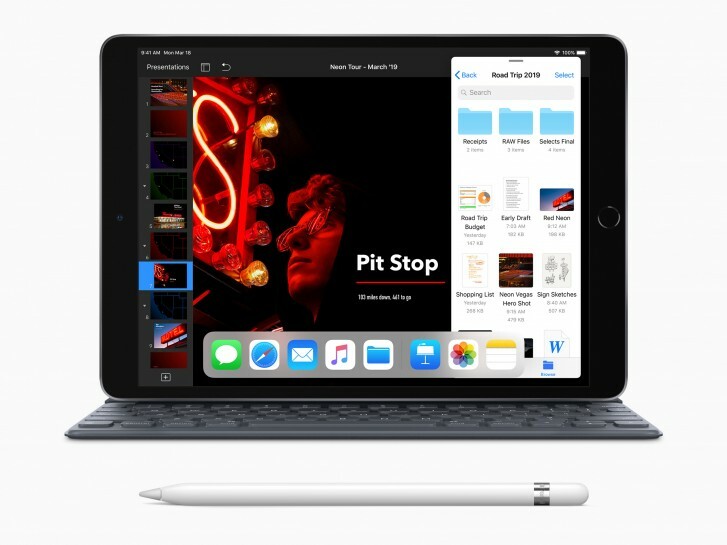 The iPad range now includes the two new iPad Pro models from 2018, the 6th generation iPad, the new iPad Air and the new iPad mini, with all older models being discontinued.